Wednesday Wrap: new OnePlus product, Pure Siesta S2, and an end to streaming exclusives? | What Hi-Fi? Wednesday Wrap: new OnePlus product, Pure Siesta S2, and an end to streaming exclusives? It's a packed Wrap this week, with fresh products from OnePlus, Pure and Teufel, plus more news from the streaming music world. Is there going to be an end to music streaming exclusives? If Universal Music has its way, the answer is yes. 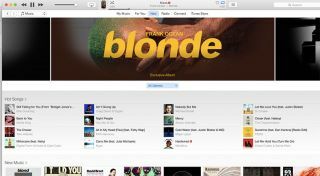 The catalyst is the recent launch of Frank Ocean’s second studio album, Blonde. Previously signed to Def Jam Recordings, a subsidiary of Universal, Ocean released Blonde on his own label as an Apple Music exclusive, cutting Universal out of the party. With the new album likely to debut at number one on the Billboard 200 in the US later this week, Universal is seemingly not amused at missing out on this release. And the label sees exclusive streaming deals as the problem. Spotify has refused to go down the exclusive route but Apple Music and Tidal have both used big-name artist exclusives to boost subscribers. And it certainly worked for Tidal. German manufacturer Teufel has announced the Bamster soundbar as the successor to the compact BT Bamster. The new bar comes with two passive bass radiators to cater for low-end frequencies, with Teufel saying it can go as low as 65Hz. The Bamster retains the same compact oblong form as its predecessor, which Teufel says offers “great sound dispersion and stereo effect”. Teufel says the Bamster can not only be used to improve the sound of your TV, but can double up as a portable wireless speaker thanks to aptX Bluetooth 4.0 and a built-in rechargeable battery with a claimed 12-hour life. The Bamster is available now in black or silver, priced £120. Norway is set to host the first music talent show that relies solely on streaming to determine the success of contestants. Called The Stream, the show will “reflect how the music industry works today” and has support from the three major music labels and Spotify. Contestants wishing to apply can upload a video to the show’s website, with the 100 most-streamed acts going through to an audition stage in front of representatives from Universal, Sony and Warner music labels. The three judges will eventually select three artists each to perform on live shows. The songs each artist performs on the live shows will be available on Spotify after each episode, with the most streamed artists competing for another week and the least streamed leaving the show. The eventual winner will receive a record deal from one of the three labels. Purveyor of affordable high-spec smartphones OnePlus has announced a new product launch on its YouTube channel. The 27-second long teaser video shows a record spinning with an image of what looks like an in-ear headphone and ‘V2’. New in-ear headphones? 9to5Google predicts the new in-ears could feature a USB Type-C port, which Intel wants to make standard among smartphone manufacturers. Pure has added another radio to its growing roster in the form of the Siesta S2. Designed to sit on a bedside table, it features an edgeless display, two alarm settings and can store up to ten digital and FM preset stations. The Pure Siesta S2 is available now in graphite or white finishes, priced £70.